Cooking is a secondary profession that you can get on any character in addition to your other profession slots. 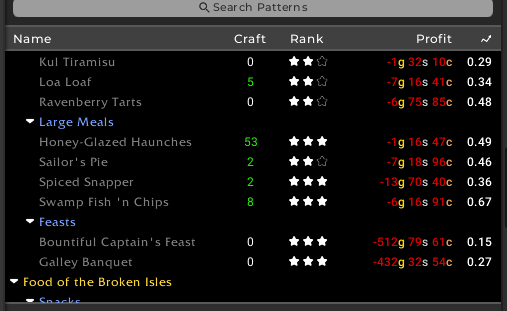 You can craft a variety of food consumables that give you various stat buffs. These are very desireable both for raiding and high level dungeons. This has typically lead to cooking being a great money maker. In BfA there are three main tiers of food. There are two levels of secondary stat granting food consumables. These are usable by a single character and give either +41 or +55 to your secondary stat of choice. In addition to this you have two feasts that will give up to 35 players a buff to their primary stat. My experience is that you will only ever sell large quantities of the BiS foods, which is typically the highest level feast and the +55 stat foods. In BfA we have the secondary effect that the +41 stat food is crafted in large quantities to level up cooking as well. There are some pitfalls you need to be aware of with cooking to ensure that your crafting cost is actually correct. The first is that TSM won’t value your vendor materials correctly. The second is the fact that some materials may still be falling heavily in price. 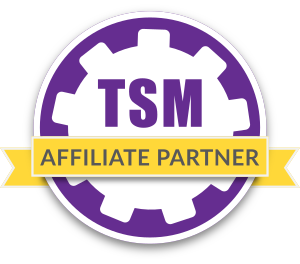 The main problem is that TSM does not necessarily value the vendor materials correctly. They do not have a valid vendorbuy source for me, so they are valued at DBmarket instead, which is much higher. The actual cost for these items is 25 silver. To get the correct material costs we will head to the crafting reports window of TSM. You open it by simply typing /tsm crafting into chat. Start searching for the first one in the material pane as shown in the screenshot below. Then you click it and the material cost window will open. We want to remove the string and replace it with “25s”. Rinse and repeat for all the materials in the list. On my realm Meaty Haunches in particular have been falling heavily in price for the last weeks. This means that the current minimum buyout is half of dbmarket, and dbmarket will still trend downwards. This means that TSM will overestimate my crafting cost quite a lot. If this is the case for your realm I suggest swapping the material cost for the material in question to something like 70-80% dbmarket. Keep in mind that this is only temporary and once the price stabilizes you want to change back to the default string. You should check the material cost on any recipe that looks unprofitable to make sure that it isn’t caused by this issue. You can see the before and after I changed the meaty haunch price below. I am still probably overvaluing my meats here, so the profit is likely 50s-1g higher. In cooking you want to prioritize the highest sellers. As you can easily tell from the screenshot in the last paragraph there is a distinct difference in sale rate. 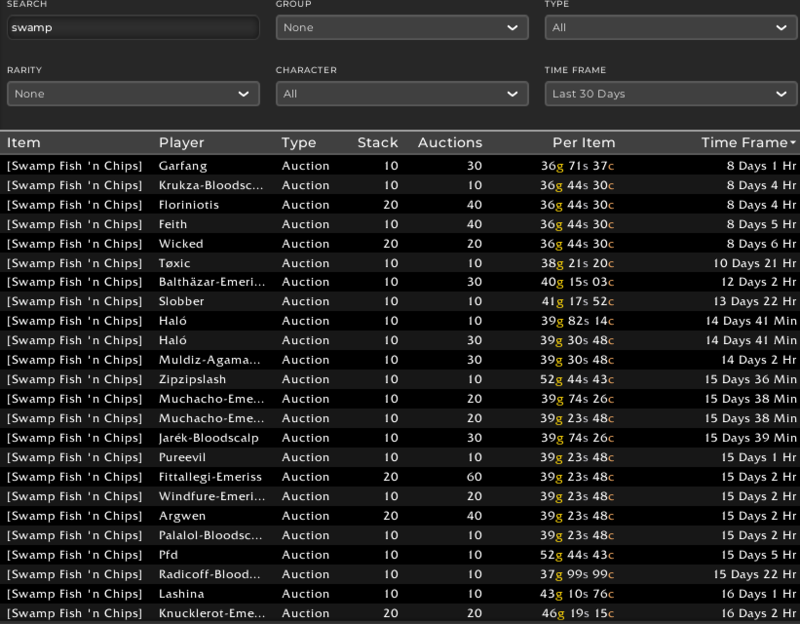 Swamp Fish and Chips sell at the fastest rate as haste is the most desirable secondary stat at the moment. Then we have the crit and mastery foods at a pretty even rate, while the versatility food sells slowest. 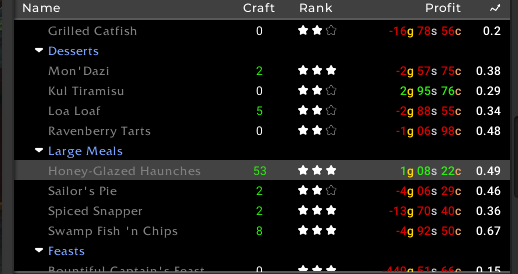 I haven’t personally tried my hand at feasts yet as the profit margin is horrendous even with rank 3 recipes on my realm. The haste and mastery foods have been selling decently when I have stocked them though. The TSM setup in my pastebin will post all your food for you. I post the secondary stat foods in stacks of 20, 10 and 5 and it posts the feasts in stacks of 1, posting 5 feasts at the time. I haven’t personally tested the feast market yet, so make sure it is actually profitable for you before diving in on your realm. 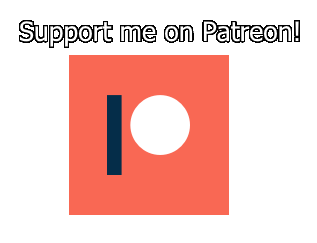 If you want early access to all my posts and gold making guides consider supporting my Patreon. 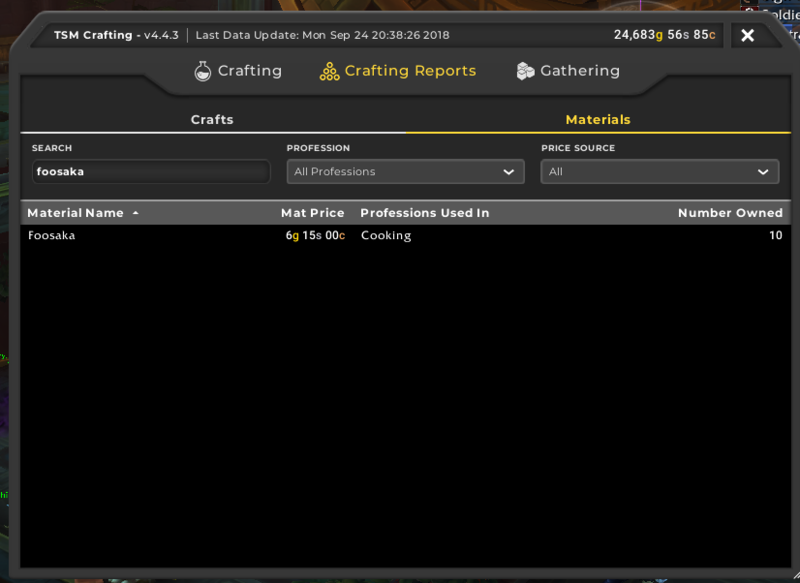 Hey I’m getting a your minimum price of 110%crafting is invalid when I import your groups. Is there something wrong? It seems alright from the /tsm sources point of view. That means that either one of the materials is missing a valid source or that TSM hasnt found the recipe in your crafting window. Expulsom is a likely culprit for the first error. For the second error you will have to re-scan your profession by opening and closing the profession window a couple of times. Hello. What part of the tsm interface is the first image from? Thank you!